The strict separation between art forms belongs to the past. In a continuous cross-fertilization, different art forms inspire, influence and reinforce each other, although sometimes they can not let to ruff or laugh with the other. During the first part of the evening we highlight artists whose practices can be seen as a amalgam of different diciplines. The second part focusses mainly on Duchamp and his unlimited practice. Starting with Anémic Cinéma, we describe his influence on the work of Maya Deren and Liliane Lijn. 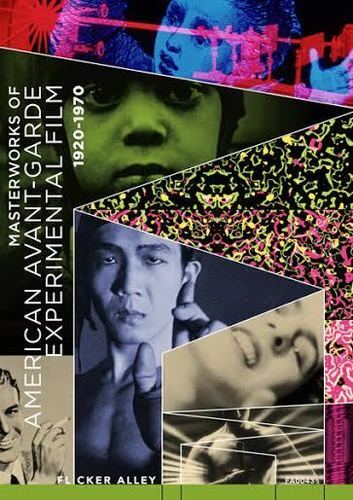 Flicker Alley and the Blackhawk Films® Collection, in collaboration with Filmmakers Showcase, are proud to present Masterworks of American Avant-garde Experimental Film 1920-1970 in a 4-disc Blu-ray/DVD Combo Edition. This breathtaking collection includes 30 films, restored to pristine high-definition, from some of the foremost experimental filmmakers of the 20th century. Commencing in 1920 with Charles Sheeler and Paul Strand’s creative collaboration on Manhatta, successive generations of experimental filmmakers and artists have worked in collaboration or alone to create a cinema capable of expressing dynamic unspoken concepts in totally abstract visual terms. 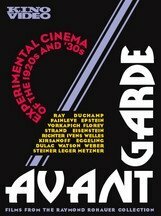 Duchamp du film offers a new and challenging reading of the work and influence of Marcel Duchamp on modern and contemporary filmmaking, inviting to reconsider some experimental practices of film in terms of aesthetic proposals made by the artist throughout his career. 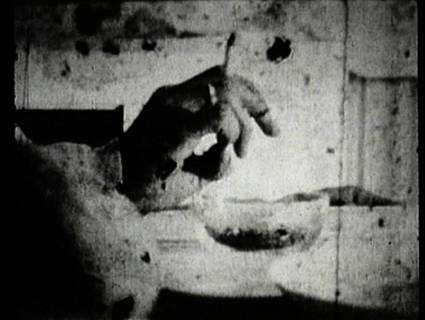 Although the artist produced a single film, Anemic Cinéma (1925-1926), the figure of Marcel Duchamp appears throughout the history of the filmic avant-gardes of the 1920s and 1930s, as well as in postwar American art, up to productions that fall within the category of experimental and artist's film. Conceived by the Centre Pompidou film department, and curated by Enrico Camporesi and Jonathan Pouthier, under the supervision of Philippe-Alain Michaud, this program consists of six screenings as a complent to Marcel Duchamp's exhibition (La Peinture même, curated by Cécile Debray) held at the museum from September 24, 2014 to January 15, 2015. A programme in resonance with the coming of the Centre Pompidou Mobile to Le Havre that will present "Circles and Squares," a selection of works about geometric abstraction. Shortly after painting, cinema takes possession of abstraction in the first decades of the 20th century. After the first works (the chromatic music of the Italian Futurists, the colorful rhythms of Leopold Survage) it is in Germany where the first stream of abstract film develops. Based on this historical avant-garde, this programme will provide an overview of geometry in motion along with American films and contemporary digital experimentation. At the request of Xcèntric, this season the heads of film collections of the principal international art museums will present a selection, at once personal and representative, of their constituent works. We start this series with a programme from the collection of the Centre Georges Pompidou, put together and presented by Philippe-Alain Michaud, featuring seminal creators such as Duchamp, Kubelka and Conner. In the latter half of the 20th Century, Raymond Rohauer was one of the nation's foremost proponents of experimental cinema. Programming diverse films at the Coronet Theatre in Los Angeles, and making the films in his personal archive available for commercial distribution, he helped preserve and promote avant-garde cinema. This two-DVD collection assembles some of the most influential and eclectic short films in the Rohauer Collection, including works by Man Ray, Hans Richter, Marcel Duchamp, Watson & Webber, Fernand Léger, Joris Ivens, Dimitri Kirsanoff, Jean Epstein, and Orson Welles. 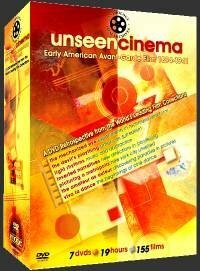 Unseen Cinema: Early American Avant-Garde Film 1893-1941 premieres a comprehensive 20-program retrospective of the pre-Maya Deren inspired avant-garde film movement in America. Over 160 films in newly preserved and restored 35mm and 16mm film prints survey the hitherto unknown accomplishments of pioneer filmmakers working in the United States and abroad during the formative period of American film. 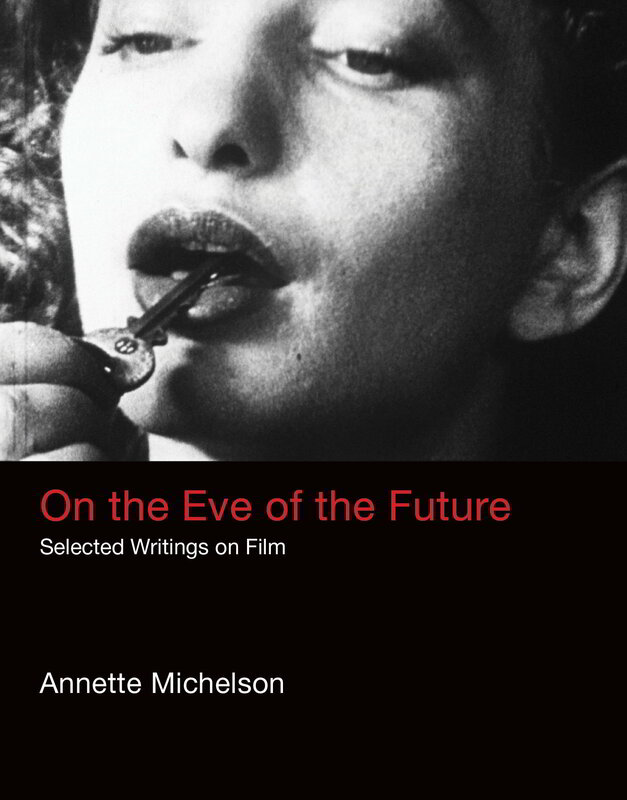 The series postulates an innovative and often controversial view of experimental cinema as a product of avant-garde artists, of Hollywood directors, and of amateur movie-makers working collectively and as individuals at all levels of film production during the last decade of the 19th century and the first half of the 20th century.